1). 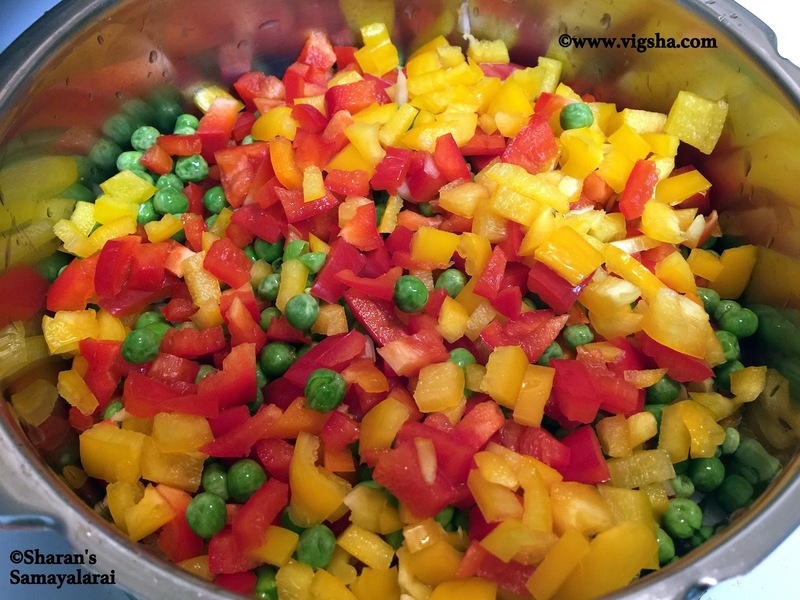 Chop the vegetables evenly and keep aside. 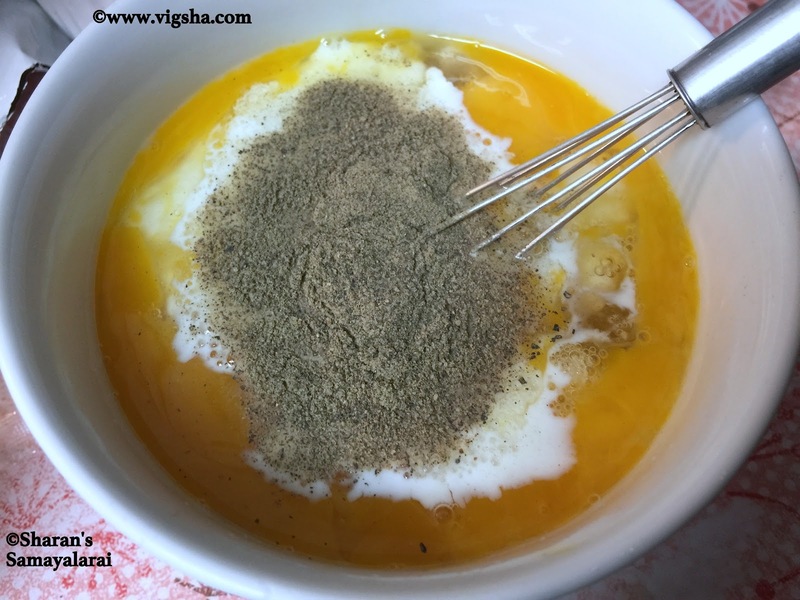 In a bowl, crack the eggs, add milk, salt and pepper powder. Beat the eggs until frothy and set aside. This cooker method works only with 2litre pressure cooker. 2). 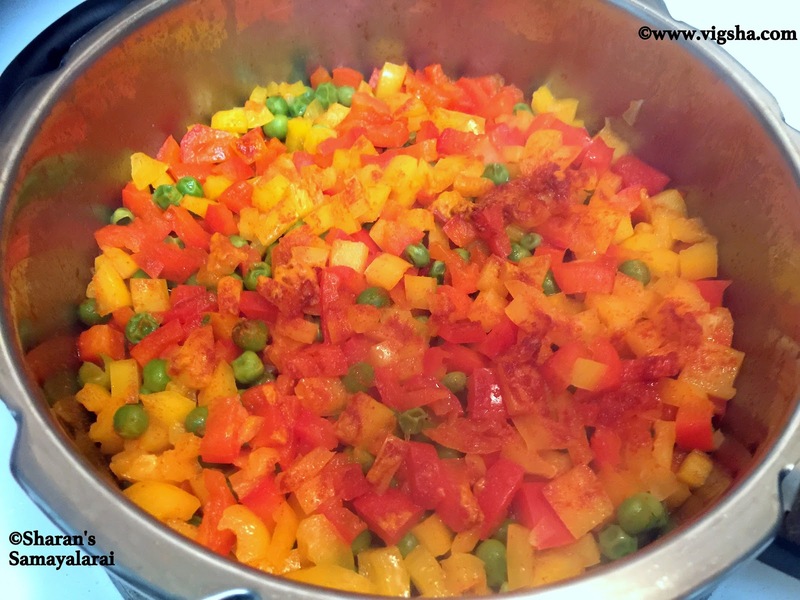 In a 2 liter pressure cooker, add a tbsp of oil, layer it with onions and chopped vegetables. 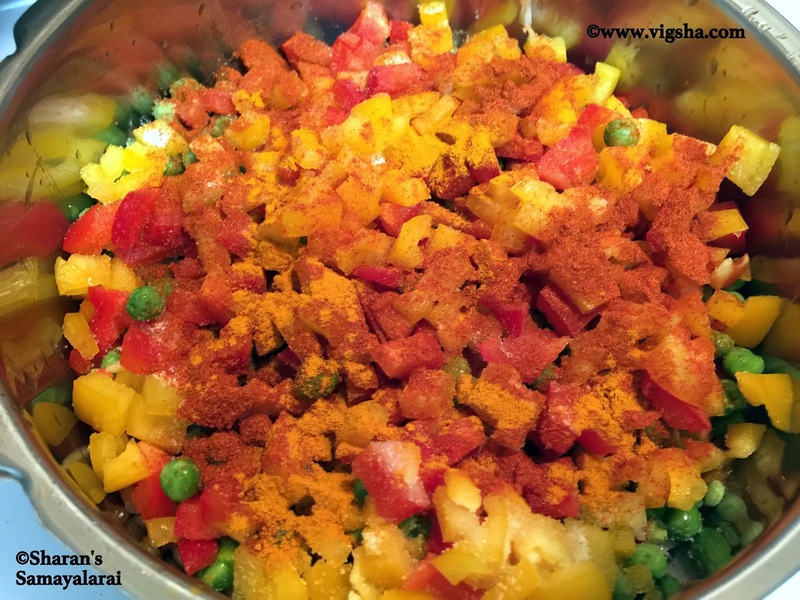 Then top it with turmeric powder, chilli powder, garam masala and salt. Close the lid and cook on medium high for a whistle , switch off. Remove the cooker whistle and release the pressure immediately. 3). Open the lid, make a small hole in the middle and pour the beaten egg. 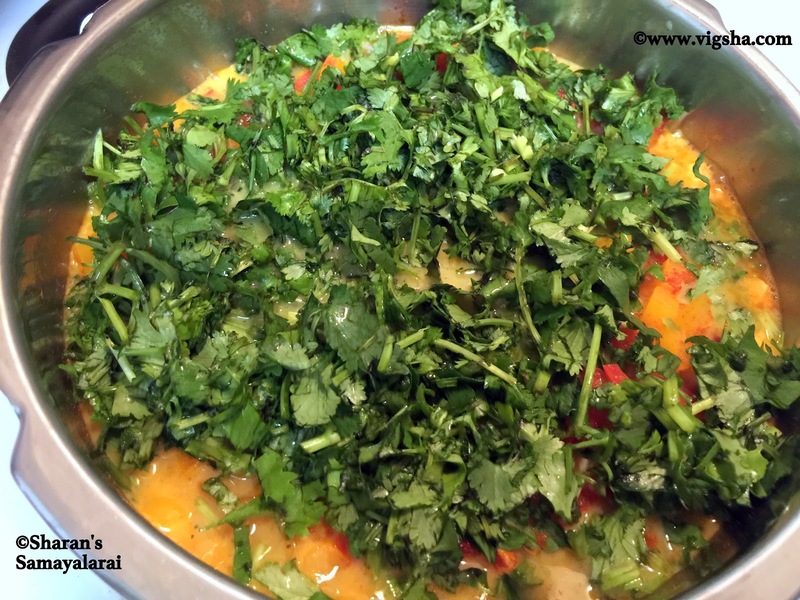 Top it with chopped coriander leaves and close the lid. Do not switch on the stove, the cooker heat will be enough for the eggs to get cooked. Open the lid after 5-7 minutes and check if the eggs are fully cooked. Cooked eggs will puff like idli's. 4). 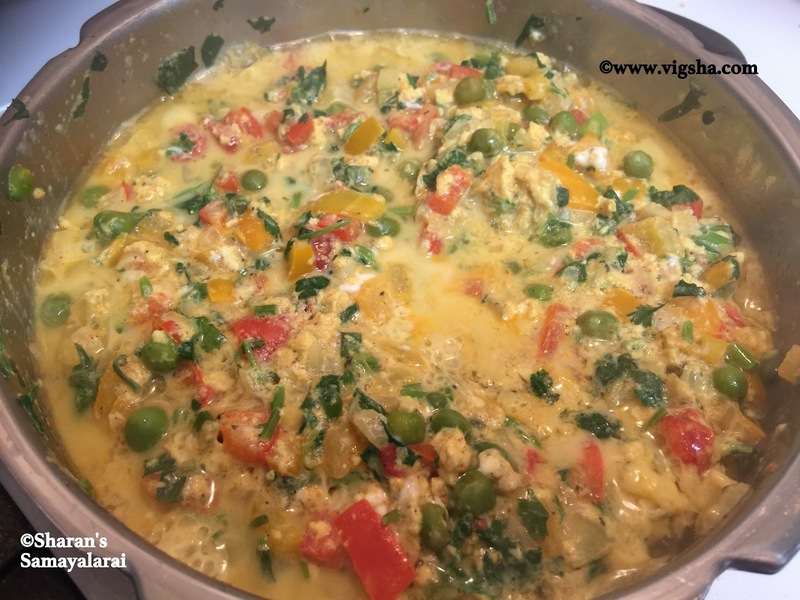 Once the eggs are completely cooked, combine everything together. In a separate pan, add oil and splutter mustard and cumin. Then add urad dal, channa dal, hing and saute till dals turns golden color. 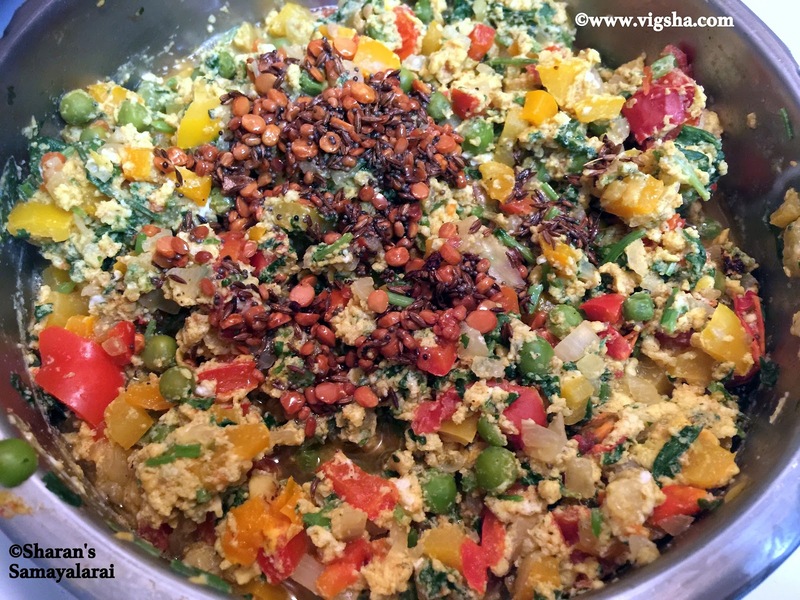 Add this seasoning to the egg burji and combine. Done ! 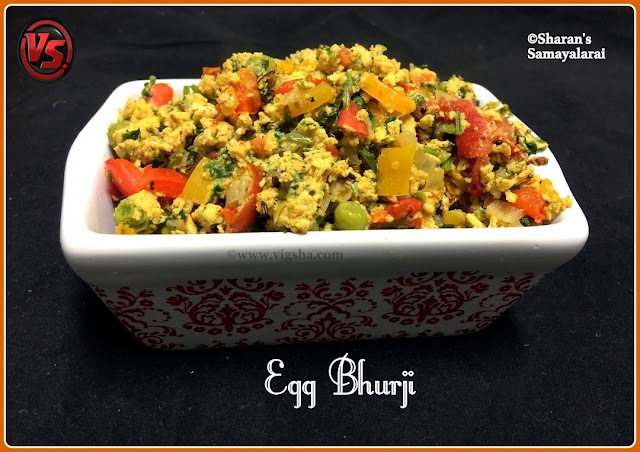 This can be served as such as a snack or an accompaniment with bread slices or chapathi. It tastes best all ways. # I prefer only 1 whistle to retain the crunchiness of the vegetables. 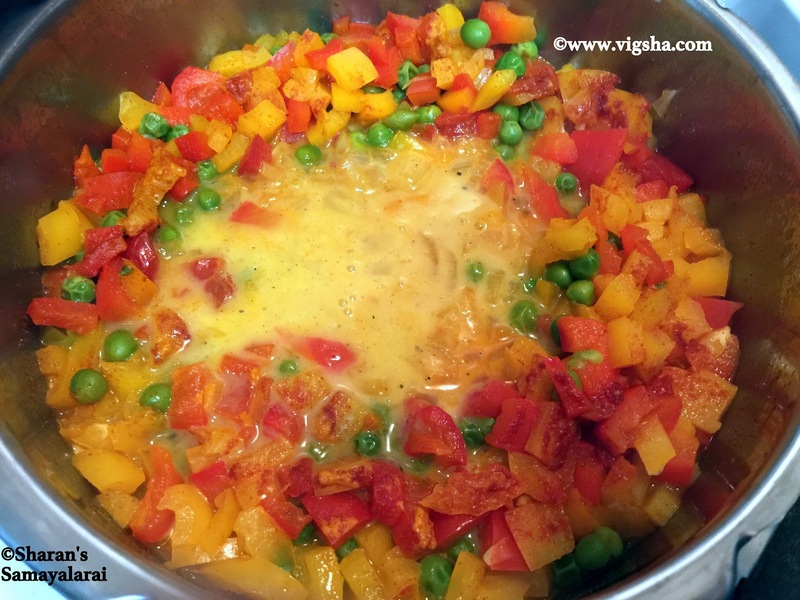 You can leave it for more whistles if you need the veggies in the mushy consistency. # Do not wait for the pressure to go itself. After first whistles remove the whistle and release the pressure. Also if you let the pressure go by itself, the heat wont be enough for the eggs to get cooked. # You can use any vegetables of your choice like Potatoes, mushroom, etc,. # Try to avoid using watery vegetables. I have used capsicum and tomatoes. When cooked they release water and there was liquid in the bottom. You can either remove the water or cook the bhurji in high flame till it reaches the desired consistency. 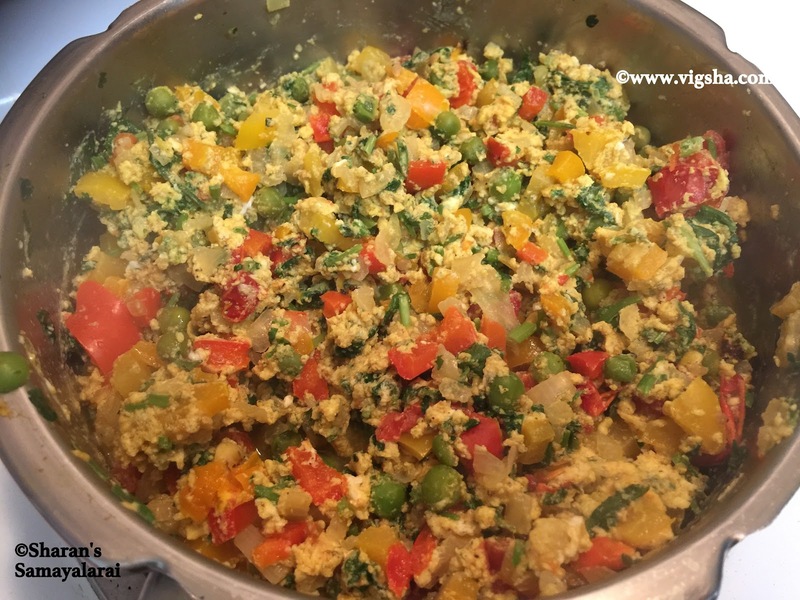 # After opening the lid, if eggs are not fully cooked. Close the lid for another 3-4 minutes and let it get cooked properly. You need not switch on the stove. The heat in the cooker will be enough to get cooked. # Do not miss coriander leaves and try to add more. It gives a nice flavor to the dish. # You can also add ginger garlic paste. If using ginger garlic paste, skip hing.